When it comes to still shooting, there is no difference between the GH1 and the G1 that Mahoney reviewed last November. It has a digital viewfinder instead of an optical one, which takes some getting used to but tends to work. It's got a huge number of manual and automatic options, as well as some uniquely digital settings, like "film mode" where you can manually adjust the color balance, saturation, contrast and noise reduction of the "film" you're using. Because the sensor is 4:3 (hence the format's name), you can change the aspect ratio to 16:9 for a wider view, but of course you sacrifice some pixels in the process. Update: Reader Ben tells me that no pixels are lost in the aspect ratio switch. All of the above features and capabilities can be found on the $800 DMC-G1. 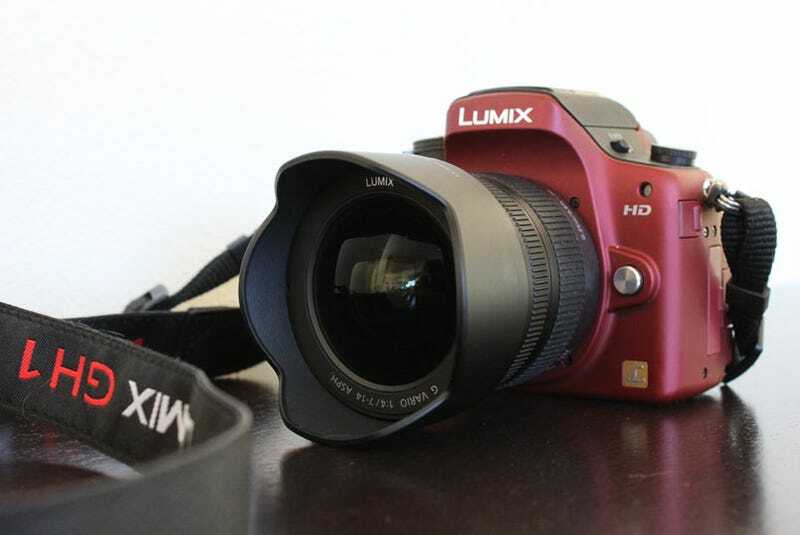 What I tested, though, was the $1500 GH1, with an "H" for "Highdefinitionvideo." The H makes a big big difference, as David Pogue mentioned, and as Mahoney lamented. Still, we're back to the same dilemma here: If moderately video capable DSLRs are selling for MSRPs around $900 (also with decent kit lenses), how can this baby be worth $600 extra? Still-only DSLRs cost in the $600 range—how can the GH1 be $900 more than those? It's a powerful camera, but I certainly didn't feel as comfortable shooting with it as I do with Canon and Nikon DSLRs, and the video is, after all, video. The argument for video on other DSLRs is their compatibility with all kinds of lenses; here, it's more like a decent video camera without a huge number of lenses. As Mahoney mentioned in the G1 review, you can get a lens adapter and use some nice Leica lenses, but do you really want to go to all that trouble? We'd be better suited for some a handful of interesting, made-for-micro-four-thirds primes.